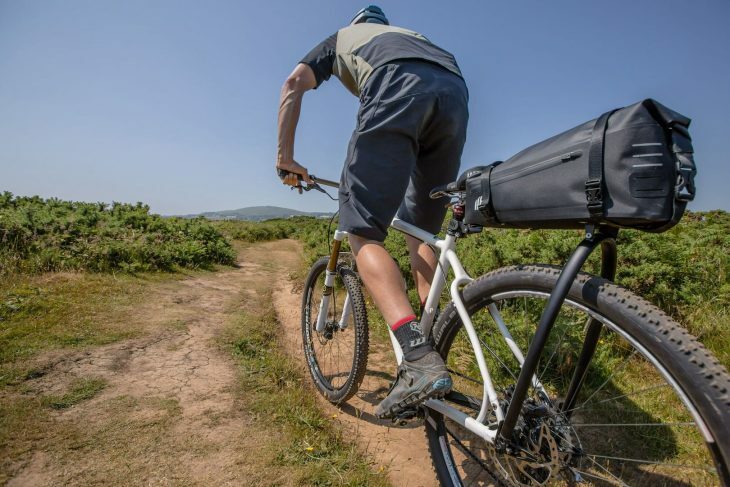 A Bristol-based company has just launched an innovative rear luggage rack on Kickstarter and has seen it raise nearly a hundred grand in a couple of days. Ready for the trails. 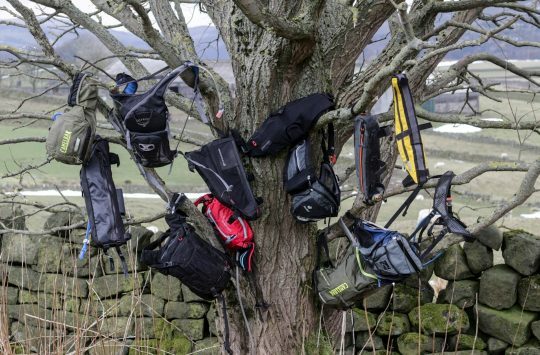 The bag is waterproof and offers side pockets and light mounts too. 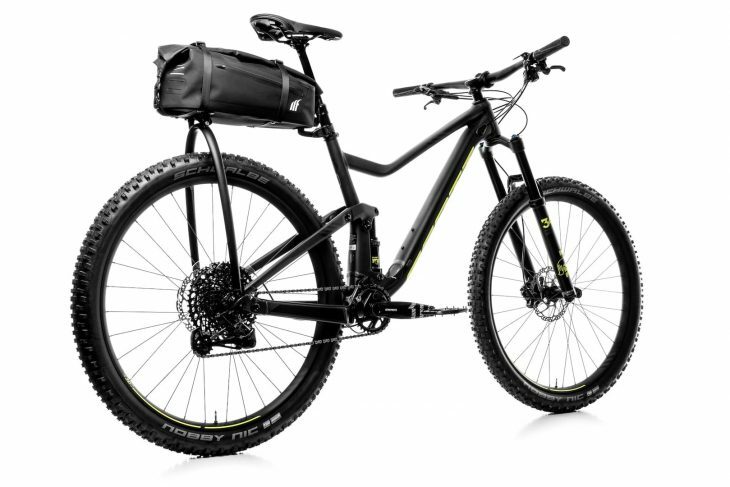 The company has been seen before on road and gravel bikes, but this is its first mountain bike specific product. 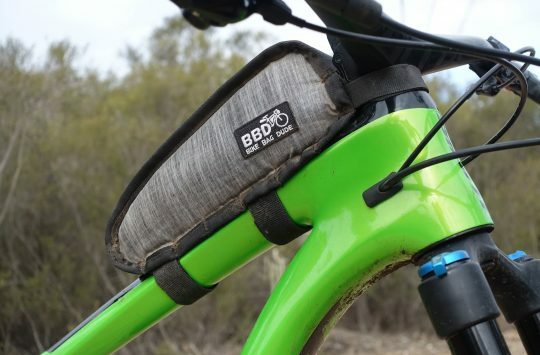 The idea is to replace the ‘traditional’ bikepacking seat-sausage with the Tailfin AeroPack. Tailfin cites several advantages of going with its system, including the speed of fitting, a lack of ‘wagging’ of the load, better compatibility with dropper posts (whether you’re running a dropper or not) and it allows you to get back behind the saddle without sitting on your luggage. The surprisingly large back and rack removes easily for deployment of camping gear. 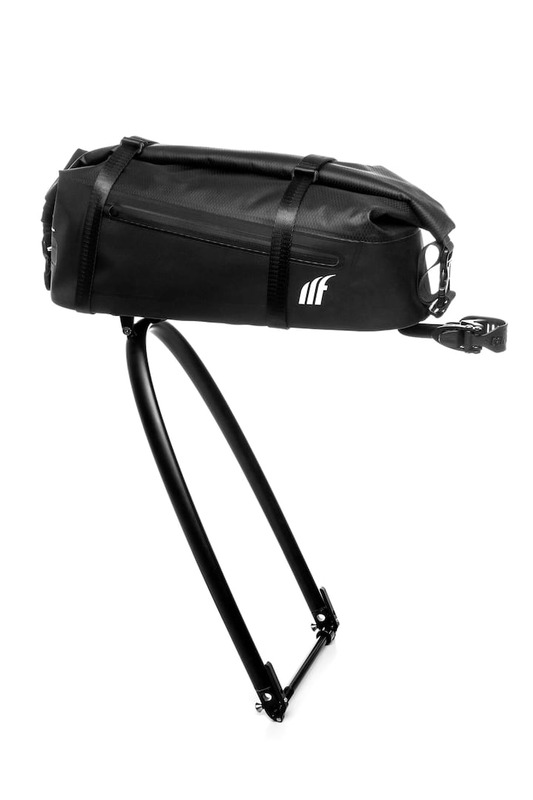 The AeroPack Carbon and the Aeropack Alloy both consist of an integrated bag and rack system, in which the rack is permanently connected to the bag for improved weight reduction. The AeroPack Carbon’s rack body is made from carbon fibre, while the AeroPack Alloy is constructed from 6061-T6 aluminium. 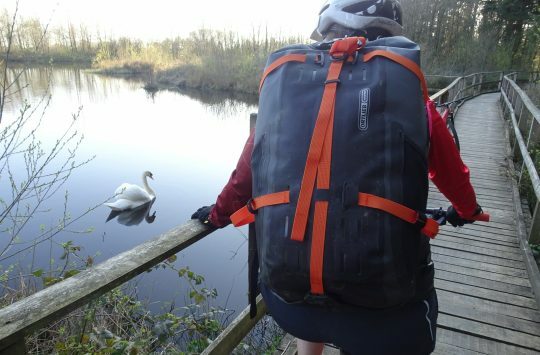 The AeroPack Trunk consists of a bag only, which mounts securely to Tailfin’s original T1 carbon pannier rack. 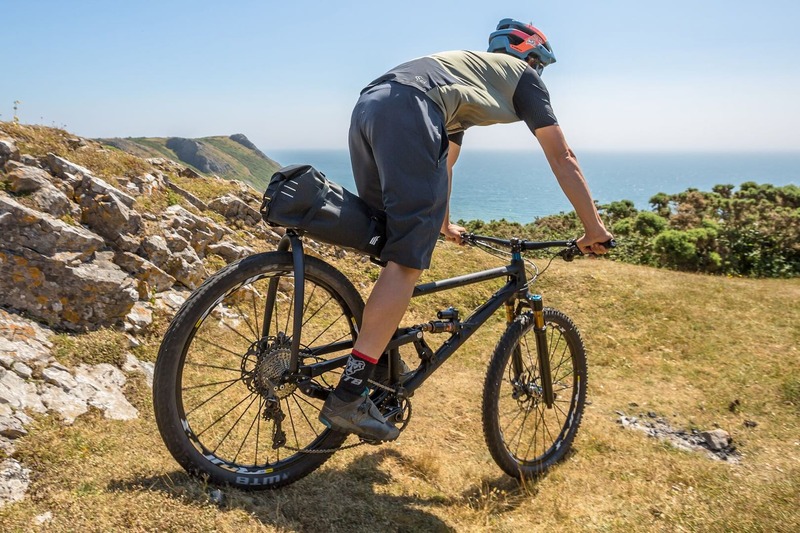 One of the clever things that Tailfin is promoting is the compatibility with full suspension bikes. 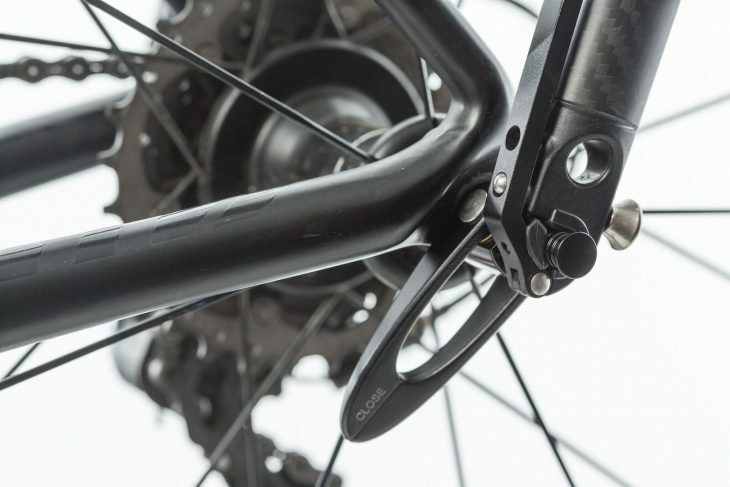 As the rack only attaches to the dropouts and to the connector at the seatpost – all of which feature pivots) a fair amount of up-down movement is possible. 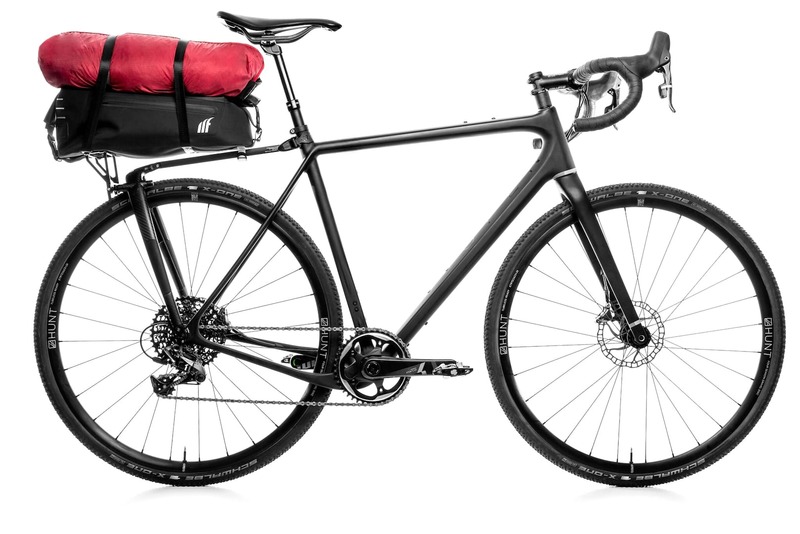 And, while it’ll shake your bag contents around a fair amount, being sprung weight, it’s one of only a handful of systems to ever bother trying to make a rack system compatible with suspension. With prices starting at £219 for the alloy rack and 20litre waterproof bag, they appear to be flying off the pre-order shelves, with Tailfin having secured nearly £100K sales in just a few days. We have one on order for testing as soon as they’re available, hopefully around April 2019. Err… if the mass is resting on the rear axle (which at least part of it is), it is UNsprung mass. Ie mass that the suspension damping and spring has to, well, damp and spring. Just like a URT had to (albeit the unsprung mass wont vary like it did on a URT when a rider sat vs stood up).